Canada's First Peoples have always revered the Great Lakes as a sacred gift. Every culture joining the Canadian mosaic since has a deep connection to water – something that’s been forgotten in the busyness of modern life. Cut off from our lakes and rivers, we need to renew this bond. YOU ARE INVITED on September 24 to an Indigenous-led water walk along Toronto's waterfront, to remember and care for the water. 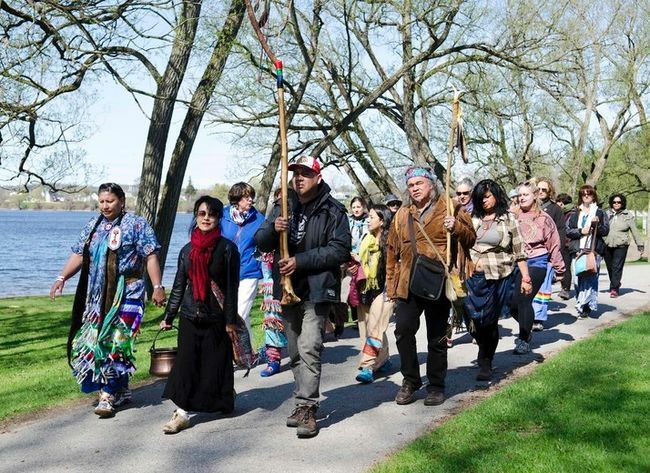 Starting at 7am on September 24, 2017, Indigenous water walkers will lead a diverse group of people from Toronto and beyond on the GREAT LAKES WATER WALK, as a way of raising awareness of the water we all depend on, bringing healing, and uniting cultures. Photo courtesy The Peterborough Examiner - used with permission. Indigenous elders will meet large groups of people at the mouths of the Credit and Rouge Rivers for a blessing of those historic watersheds. The two groups will then traverse Toronto’s Lake Ontario waterfront, joining finally at Marilyn Bell Park, just west of Ontario Place. Here, the elders will lead a blessing of the Great Lakes with the Chiefs of the two traditional territories crossed by the journey. The leaders of the Greater Toronto cultural and faith traditions, governments, businesses, youth, working people and voluntary associations will also come together as a tangible expression of reconciliation found in the common source of the Great Lakes waters. 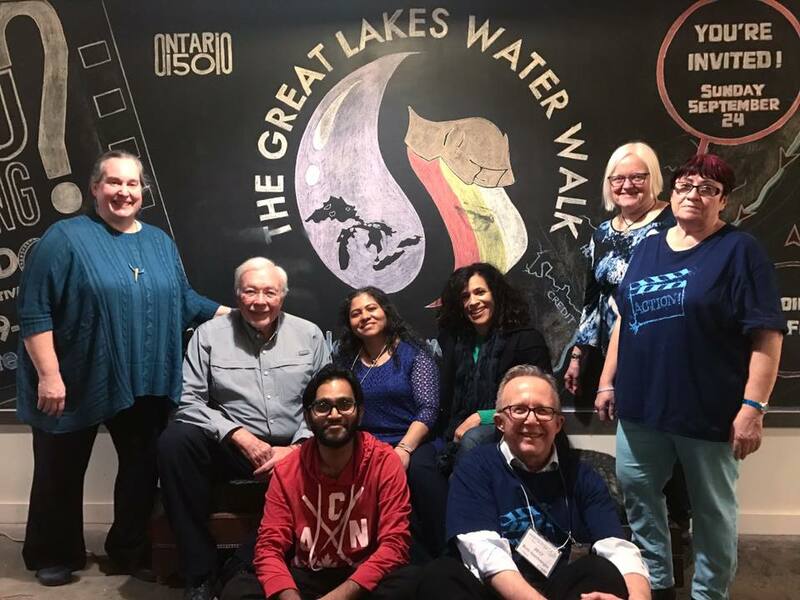 The Ecologos Design Team volunteers proudly support the inaugural Great Lakes Water Walk to be held on Sunday, September 24, 2017.